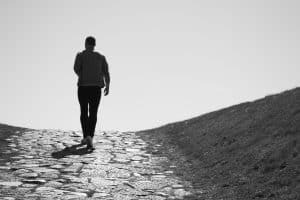 When a person struggling with an addiction makes the important decision to get on the road to recovery there are several possible stumbling blocks they will encounter. The first is typically where and how to get help. Once they have figured out what kind of treatment option works best for them they will then have to deal with the side effects of withdrawal. One of the more difficult drugs to detoxify from is cocaine. Because cocaine is both physically and psychologically addictive there are both physical AND psychological withdrawal symptoms to contend with. So when an addict begins the detox process what are the Cocaine Withdrawal Symptoms they should expect? The first category of cocaine withdrawal symptoms is the physically based symptoms. These may range in severity depending upon the severity of the addiction as well as vary from individual to individual. The less serious symptoms include difficulty sleeping and drowsiness, nightmares, an increase in appetite, nausea, vomiting and headaches. These symptoms are usually short lived and end within a day or two. For some individuals these symptoms may last weeks or even months. In this case the individual is diagnosed as having post acute withdrawal syndrome. Some of the more extreme cocaine withdrawal symptoms can be high fever, seizure and delirium tremors. Left untreated these symptoms can be very serious and in rare cases, even fatal. It is important to seek medical attention when choosing to detoxify from cocaine. The next category of cocaine withdrawal symptoms is the psychological symptoms. A the most persistent and common symptom is an extreme craving for cocaine. Because cocaine is highly psychologically addictive individuals in recovery report a high level of craving for the drug in the days and weeks following detoxification. The individual may also experience varying levels of anxiety and depression. This can range from mild malaise to severe anxiety and depression. If a person experiences significant symptoms of depression or anxiety they should seek medical attention immediately. In some rare cases the depression can manifest as feelings of suicide and this can be a very dangerous combination. Another common symptom is for a person to feel agitated and restless. They may even act out aggressively. They will have difficulty sitting still and focusing for days or even weeks. What are the Social Implications of Cocaine Withdrawal? A less discussed type of cocaine withdrawal symptoms is the social implications that detox will have. An individual who leaves a life of drug addiction will often have severed or disrupted their bonds with family and friends. They friends they have made through addiction should be avoided. Therefore people who are recovering from cocaine addiction will often experience feelings of isolation and even abandonment. Often seeking a group therapy setting can help a recovering addict feel like they are not alone. This may also help them begin the path to mending their fractured relationships with family and friends.